Parking is available in our lot on the East side of the building, with two spaces reserved for take-out and 10 min loading/drop off of guests. Additional street parking easily available. We offer an extensive Catering program, and can provide delivery. Please contact us for more information and to book your next event. 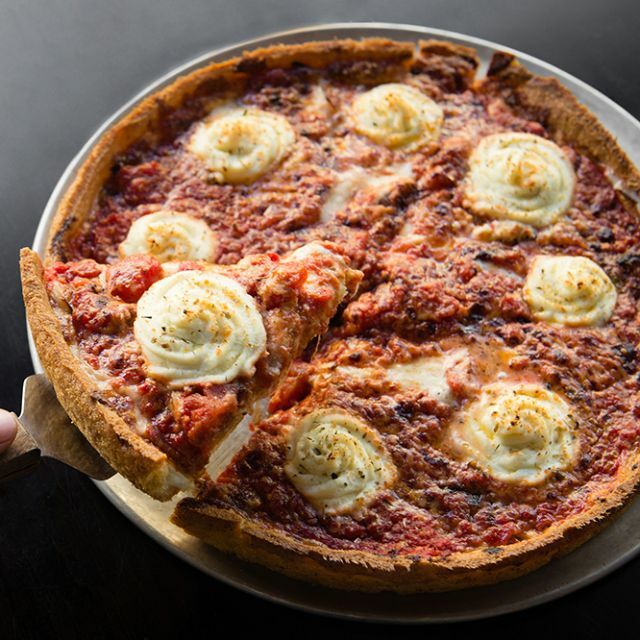 The Star features the same delicious Chicago-style deep dish pizza that made Little Star Pizza famous, with their consistent Guardian's Best of the Bay Pizza. We have an extended menu including salads, appetizers, and sandwiches. 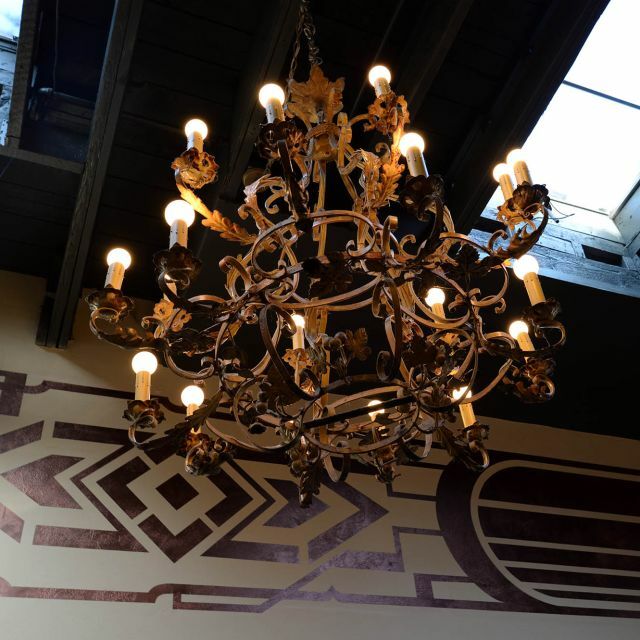 We feature an artisan full bar as well as a diverse beer and wine menus. 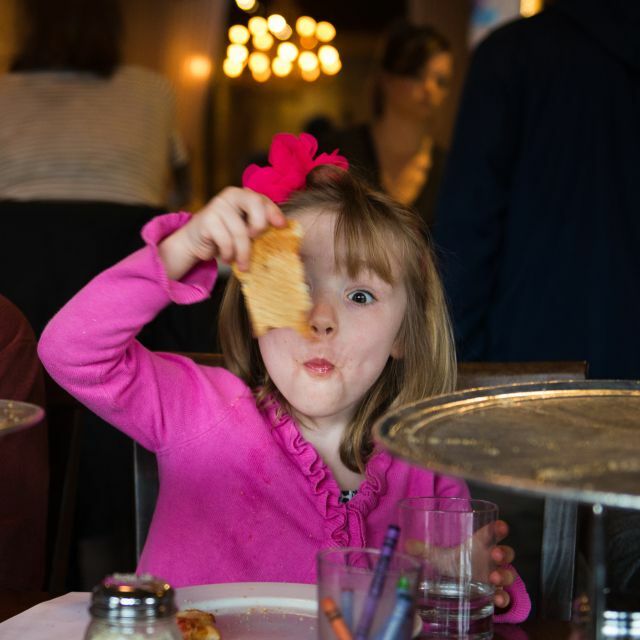 We are family friendly and accept reservations for large parties as well. We look forward to you joining us! The food was excellent; had a thin-crust and a deep-dish pizza plus a salad to share. Service was attentive and timely. When one of our cocktails tasted "off" (tonic water not fizzy enough and weird flavor) it was promptly and cheerfully replaced with a different drink. Like many restaurants, there was a TV in the bar area that can be seen from restaurant seating area--a plus for some diners, a detraction for me--but that seems to de rigueur these days. Great service and great vegan pizza. I’m so fortunate to have Star in my neighborhood, it’s s great place to have pizza to my liking. They also have a full bar that I’m going to have to try one day, When a I think of having a pizza, this is my go to place. It’s a great value for the money. We had the most amazing server ever!! He made the evening so special!! We really enjoyed our experience at The Star. We shared a bottle of wine, an appetizer and a small pizza and it was the perfect amount of tasty food. The thin crust was perfect consistancy. It is evident that much care is taken in the quality of foods and food preparation. The atmosphere is fun, albeit a bit noisy. I look forward dining there again. Disappointed in the white wine being delivered room temperature. When I asked the server about it he said all the wines are at the same temperature. When my husband said maybe the bottle had just been put in the refrigerator the server responded "as I said" all the wine is chilled the same. The response should have been "let me get you something else" or "I'll check to see if there is a colder bottle" so I switched to a red wine. The wine at that point should have been free. NEVER act as if the customer is wrong. 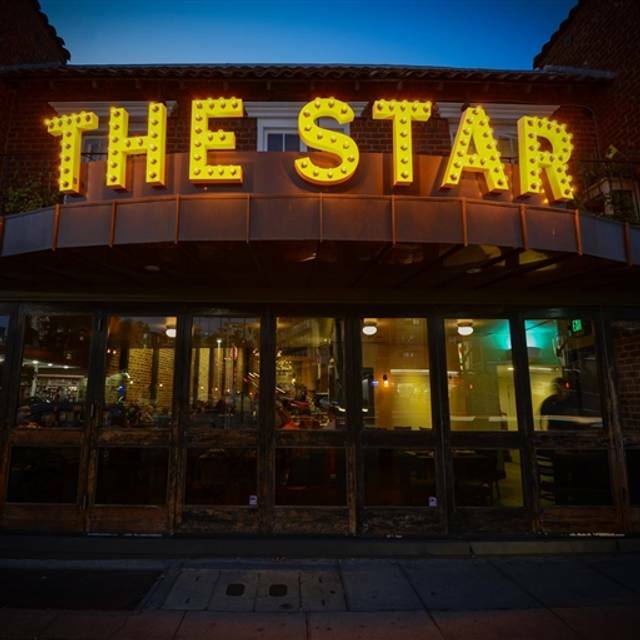 The Star is a gathering place for dinner for our group of friends. 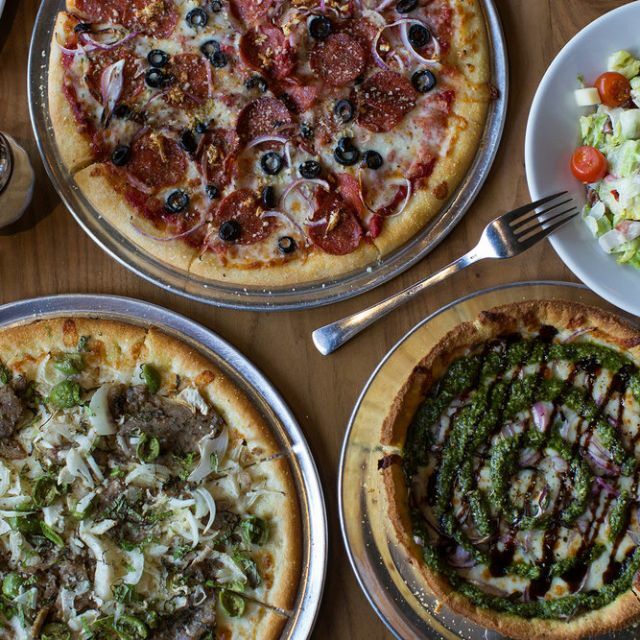 We love the thin crust pizzas, salads, and brussel sprout appetizer. Add a few tasty drinks and it’s an impromptu party! The Star’s deep-dish pizza is super flavorful, much better than Zachary’s. We had the vegetarian Little Star pizza and it was great as usual. The Brussels sprouts and cauliflower appetizers are also great. Nice selection of draft beers. It was a fun place to celebrate our friend’s birthday. I can only write this review based on the gluten-free pizza, the brussel sprouts, and the wedge salad. The iceberg lettuce in the wedge salad was room temperature and detracted from the refreshing salad experience. The brussel sprouts were tough. The gluten-free crust is very hard, but it tasted good. Great experience. Awesome, attentive waitresses. Can’t wait to go back again! Great service. Delicious food. More selections than I expected. Ate a lot and LOVED IT! Great pizza! Make reservations, very popular. Salads are good as well. 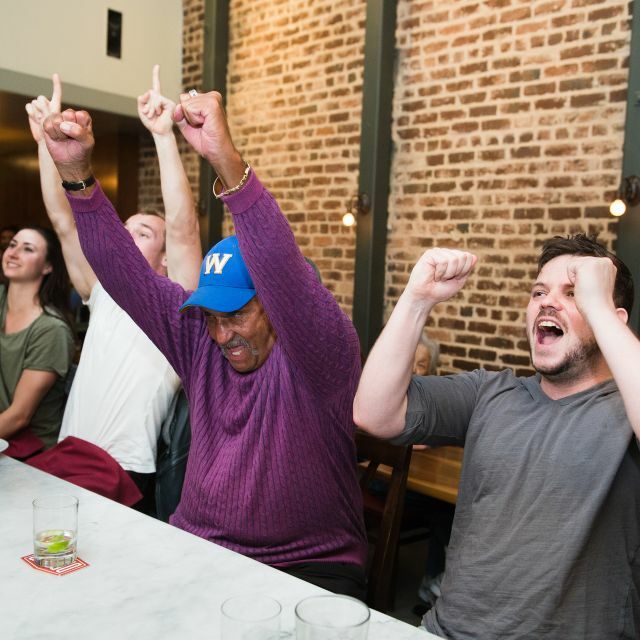 The Star never disappoints — and it makes us happy that this neighborhood cafe and bar is thriving. Keep up the good work! From a Native New Yorker, I can attest that this is good pizza. Nothing here screams best pizza place ever, but it’s solid all the way around and that’s good enough for me. The ingredients are fresh and local, the service is great, there are TV’s everywhere so u can watch the games if needed. But the bottom line is solid, fresh, well done pizza. I had the thin crust. Recommend this spot for a well priced dinner. The food was good. But they marked me as if I didn't show up. I had to deal with proving that I did. Consistently superior pizzas coupled with attentive, warm and professional service. Their excellent wedge salad comes in three sizes to suit various appetites. Our wives prefer the Greek salad and a large can easily be split three ways to satisfy their salad cravings. The bartender makes a martini precisely to my liking. 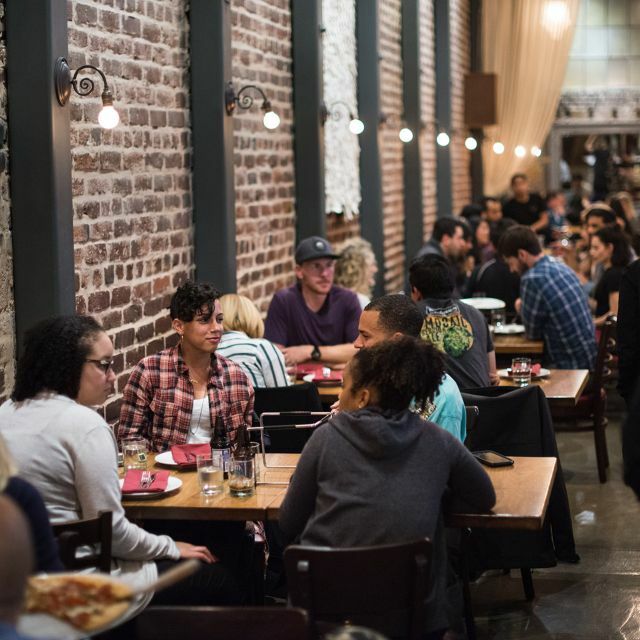 One minor quirk: For some time, their menu has no longer listed our favorite pizza, the Yerba Buena (I’ll refrain from disclosing its ingredients to entice your curiosity. Suffice it to say that it’s superb! ); however, upon request, they have always made it for us, no questions asked. Since we’re still able to get our favorite pizza, this has not presented a problem for us, as yet. The service was excellent. The deep dish pizza was really good and the little gems salad was okay. The dressing could use a little more flavor. The only real issue is the noise level. It would be good if the restaurant put up more textiles for noise absorption. Definitely good for families. Good beer selection. Waiter was great to offer a 1/2 and 1/2 pizza. My husband wanted one topping and I wanted a different one. Didn’t know we could do that! As usual, the pizza was superb, among the best ever. However, we had to wait for an hour and a quarter for our pizza to arrive, forcing us to gobble down a slice and take the rest in a box in order to get to a concert we had tickets for. (Our reservation was at 6; the concert at 8.) Ultimately, you comped us for the food part of the meal, which was a very generous outcome, which we appreciate. However, it was still unacceptable that we had to wait so long for our meal to arrive. THE STAR HAS BECOME MY FAVORITE PIZZA JOINT. I AM STILL UNCLEAR ON WHY THERE ARE THREE DIFFERENT NAMES FOR THE SAME FORMAT. I SAW THE ORIGINAL IN SAN FRANCISCO ON "CHECK PLEASE". WE WENT TO THE ONE IN ALBANY. IT WAS GREAT. 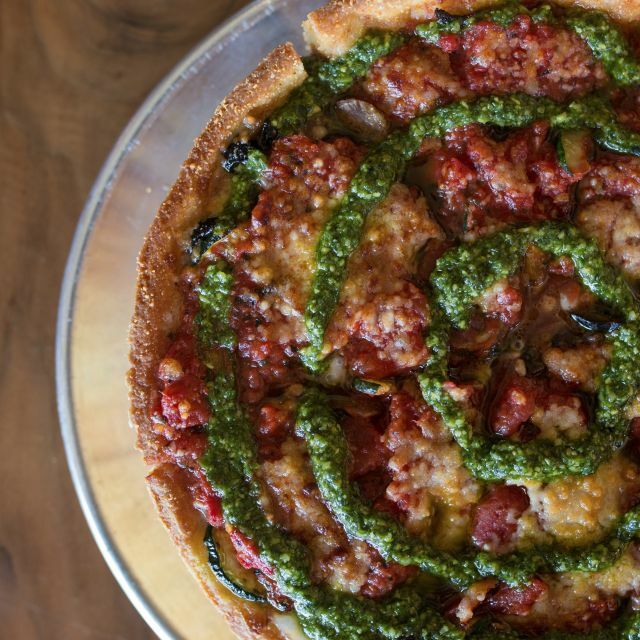 YOUR DEEP DISH IS MUCH CLOSER TO CHICAGO THAN ANY IN THE BAY AREA. MY WIFE AND MY SON WENT TO BLUE LINE IN LOS GATOS. I AM NOT SURE HOW IT CAME UP, BUT THEY DISCOVERED THERE WAS A LITTLE STAR CONNECTION. ANYWAY, YOU ALL HAVE REALLY GREAT PIZZA...THE BEST IN THE BAY AREA. Great bar and great table service, too. We especially love the happy hour priced menu. Server was not super knowledgeable about cocktails. Wings were very good. Pizza was a little above average. A nice place to sit, nice ambience! We love The Star! The deep dish classic is our favorite. Usually get the Greek salad but tired the Arugula and fennel salad and it was excellent. Nice wine list too. Good service and lively atmosphere. Have taken out of town guests, our teenage kids, my parents, and we even go to the Star for date nite. Parking is the only thing that is less than great about this place. Very good food. Great deal during restaurant week. We were surprised by a great deal because it happened to be restaurant week. a pizza, a salad, a glass of wine each, for $30! Dough on pizza still raw. Roasted cauliflower cold mushroo.s tasted old. Excellent gathering place for an eclectic food group. I took my best friend here for her birthday. We ordered the meatballs and arugula & fennel salad to start and the salad was SO delicious. It was light and I totally want the recipe for the orange vinaigrette! For the pizza we had half California and half Pesto Chicken -- YUM!! The California was the best mainly because of the balsamic reduction. The is such a neighborhood gem and I will definitely return and try some of the other items on the menu. Everything was great but the hostess was not very welcoming. We were seated immediately, always appreciated when we have a reservation. Good drinks, sweet waiter, no one rushed us. We had a great time. The food was delicious, but from the moment we walked in the service was bad. Poor hostess and terrible waitress. Impatient and did not show any enthusiasm in serving us. She disappeared mid-meal with no one to check on us for a good 30 mins. We ordered two desserts - Gelato (mostly melted) and 25 minutes after the gelato arrived we received the raw monkey bread. We will do a take out, but will not dine in again.